Trees are an important part of our environment, providing shade and improving air quality! Trees provide privacy, reduce noise and hide undesirable views; they catch the slightest breeze creating air movement, and help filter polluted air. There are trees to suit even the smallest garden. Evergreen trees provide shade throughout the year, while deciduous trees add colour to the autumn landscape and allow in the winter sunshine. Help to green our land by planting an indigenous tree in recognition of Arbor Week. If this year’s chosen trees are not suitable, visit your local botanical garden or garden centre and select a tree suitable for your conditions. 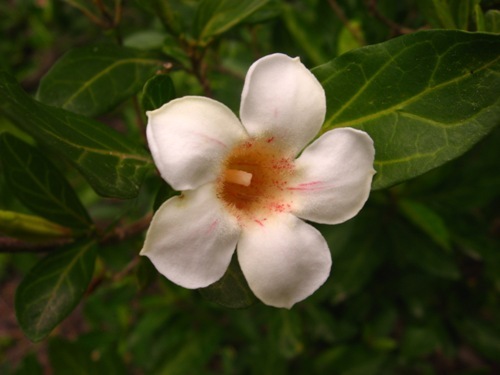 September Bells (Rothmannia globosa) has creamy-white, bell-shaped flowers that fill the garden with their sweet scent. This semi-hardy evergreen has glossy green leaves and can be grown as a rounded shrub or trained as a small tree in sun or semi-shade. Schotia brachypetala (boerbean) forms a shady canopy that sheds leaves in late winter just before the dainty, cup-shaped red flowers appear in spring to provide a feast for nectar-feeding birds. In cultivation the boerbean usually reaches a height and spread of about 7m and withstands moderate frost. 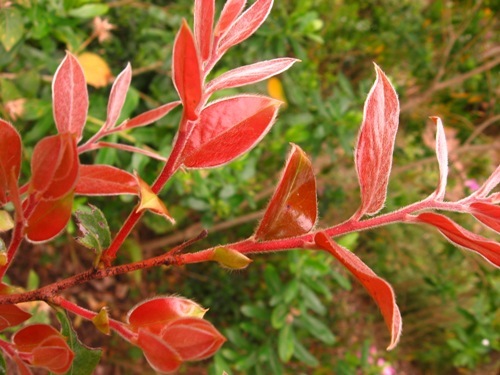 Indigenous trees that have been chosen in the past for Arbor week, and that would be suitable for gardens, include coral tree (erythrina), karee (rhus), Bauhinia species, wild olive, pompon tree (Dais cotinifolia) and tree wisteria (Bolusanthus speciosus). Even though it is not indigenous to our country, if there is space for only one tree, plant a lemon tree. The rind and juice can be used for cool drinks and for cooking, and provides a valuable source of vitamins. ‘Meyer’ and ‘Eureka’ lemon trees produce fruit most of the year. Select the right size tree that grows well in your area, has a pleasing shape, and a non-invasive root system. Give your tree a good start by digging a large hole deep enough to take the root ball, and twice as wide, incorporating compost and a handful each of superphosphate and bone meal into the topsoil. The day before planting, pour a bucket of water into the hole, and water the tree in its container. Remove the tree from its container and place at the depth at which the tree originally grew. Fill in with the topsoil. Stake firmly to avoid wind damage to new roots. Water the tree well immediately after planting. Leave a slight depression around the tree to retain water. Water well once a week until established. Spread a 5cm layer of mulch (bark chips, pine needles, nut shells) to keep the soil moist, keeping away from the stem. Two indigenous trees chosen for Arbor Week 2008 are the bladdernut (Diospyros whyteana) and the wild plum (Harpephyllum caffrum). Diospyros whyteana is a small evergreen tree with a neat growth habit, attractive glossy dark green leaves, small white bell flowers in spring, and fruit encased in papery cases that attract birds. It grows in semi-shade or full sun and is an excellent tree a small garden, can be clipped to form a hedge, grown in a container on a patio, and makes an attractive bonsai. 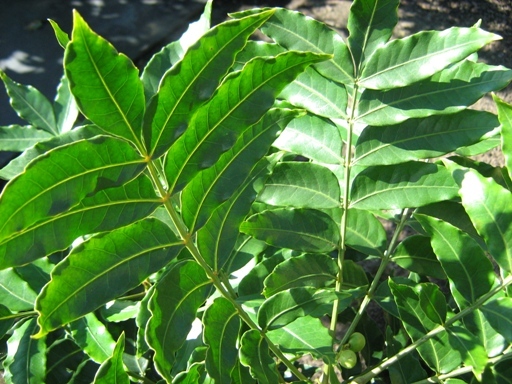 Harpephyllum caffrum is a fast-growing evergreen tree (10-14m) with dark green glossy leaves borne in a spiral pattern. The bark is smooth when young, becoming rough with age. 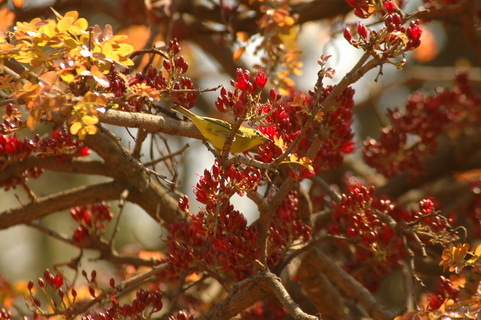 Fleshy red fruit attracts birds to the garden, but female trees only bear fruit if a male tree is nearby.